Celebrating its very special 10th anniversary in what is sure to be a night of epic proportions, we are excited to announce that Come Together – the massive all-Aussie hip-hop bash will take place in the Big Top at Luna Park, this Queen’s Birthday long weekend. This year’s stellar line-up of local hip-hop leaders are ready to blow the roof off and be seen as they should be – loud, proud and in your face. Introducing a man who should need no introduction, with four albums, an ARIA award for Best Urban Release and countless sold-out national tours and festival dates, master wordsmith, re-arranger and perfectionist Drapht will be storming the stage. 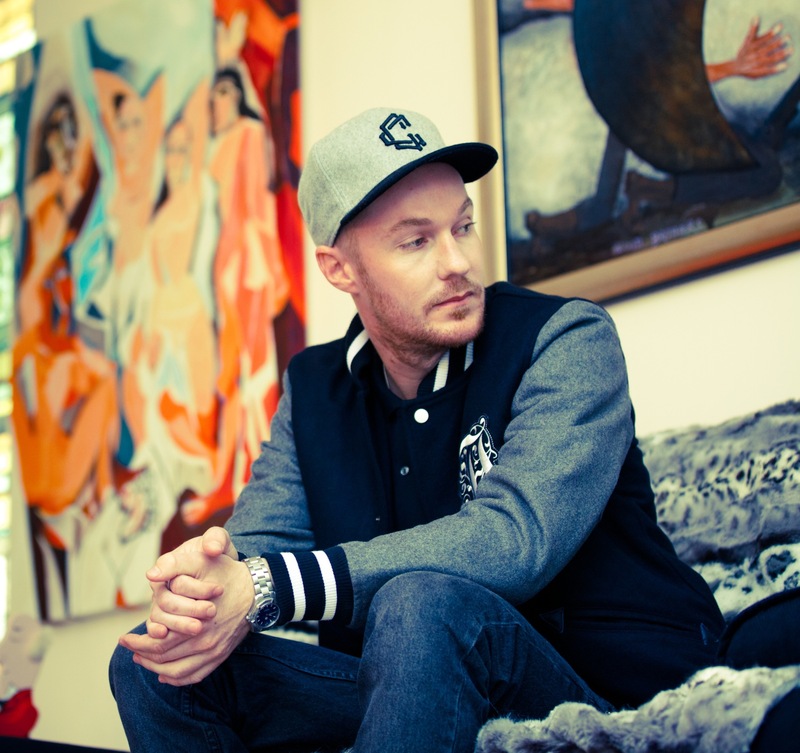 With his twice platinum single Rapunzel and his last album Sing It (The Life Of Riley) certified gold album all behind him, recently Drapht has been prolific with releases of new tracks including collaborations with Ta-ku, N’fa Jones, Joyride and Suffa from the Hilltop Hoods making Drapht a true leader in local hip hop. Hitting the Big Top hard, he will be bringing his experience and exciting performance to the stage to blow the minds of all who dare to see him. Making a welcome return to the Come Together lineup is Melbourne’s own Illy. Illy blasted his way onto the scene back in 2010 with the release of his sophomore album, The Chase. The album spawned rave reviews, receiving both ARIA and AIR Award nominations, and played host to the ARIA Gold selling single It Can Wait. Illy’s rigorous touring schedule has seen him travel to every corner of the country over the past 3 years developing a loyal fanbase along the way. This dedication to his fans has seen his songs voted into the revered triple j Hottest 100 for the last four years and running. After releasing his passion project Bring It Back late last year (featuring radio favourites Heard It All and Where Ya Been) Illy bunkered down in the studio hard at work on the follow-up to The Chase, due for release in late 2013. With his quality songwriting and high-energy, no-frills-spared live show, Illy will be cementing his status as one of our country’s most popular hip-hop acts under the Big Top. Joining the line-up will be electrifying group, The Herd, who formed in 2001, when core members of record label Elefant Traks decided to collaborate. The Herd have consistently experienced great success, with five albums bringing 2 ARIA Nominations, 2 AIR Awards, a J Award and numerous triple j hits and entries into the Hottest 100. On top of this, the group have enjoyed high profile festival slots on Big Day Out Tour, Splendour In The Grass and Homebake, as well as sold out shows across the country. The Herd’s reputation as must see live show has grown since the beginning and with their appearances being rare, this is a opportunity see why The Herd are a true career artist . Out of Sydney’s Inner West, Australia’s hip hop duo Spit Syndicate will be bringing their infamous charm to the stage on the back of their third successful album, Sunday Gentlemen. With multiple songs being added to triple j rotation, numerous hit singles and videos and successful national tours behind them, Nick Lupi and Jimmy Nice are ready to connect with fans in a whole new way. Baring all through their thoughtful, personal and sometimes confronting songs, all mixed in with their now- renowned flair, the boys are at the top of their game and ready to prove it. After spending the last year or so fine tuning his third LP, The Cold Light Of Day, with the help of long time collaborator Plutonic Lab, wordsmith Dialectrix is raring to get back to the live music circuit and show you exactly what he’s been working so hard on. Bringing the experience of multiple tours, countless collaborations and three exciting LP’s, Dialectrix’s music is delivered with a fierceness that communicates his messages perfectly. With his trademark, no-hold-barred attitude and his familiar and technical flow, his shows are delivered with ferocity that you won’t be able to resist. With their clever combination of hip-hop, pop& a touch of 60’s influenced beats, Full Tote Odds welcomes you to their incredible musical world. Garnering their respective talents through years of experience, Levelheaded, Slats, Eslev, Dj Hacksaw and Ross Read are ready to revolutionize local hip hop. Already attracting attention courtesty of their radio hit Southern Winds, these five Adelaide Hills boys will have you dancing as if your life depended on it. At 21 years of age, Adelaide rapper Allday is already bringing in a new era of Australian hip hop. 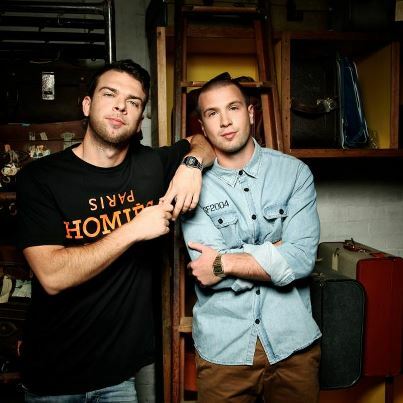 Capturing the attention of triple j, single So Good was the 19th most played track on triple j in 2012, as well as Allday being named the feature artist on triple j Unearthed. Bringing good vibes to festivals such as Big Day Out, St Kilda Festival, Pushover, O Week UTS and St Kilda Youth Festival, and with his headlining shows selling out, his exciting live shows and fresh sound have quickly been making a name for Allday nationwide. Don’t miss his first performance at Come Together! Australian Hip Hop’s best kept secret, Sydney duo Jackie Onassis, will also be joining the stellar line up of Come Together this year, off the back of successful debut EP: Holiday. With national and local radio stations already picking up singles I Got You and Crystal Balling. the future looks bright for the duo. Coupled with their explosive live shows, which saw them land support spots for both Illy and Spit Sydnicate, Jack Onassis will be proving why the hype is so deserved at their first appearance at Come Together. Ten years ago, this man paved the way, being a part of the only hip-hop act on the first Come Together. Now, to help us celebrate the 10th anniversary, we’ve invited former Butterfingers frontman, Evil Eddie, to help us mark this occasion. With his debut album, Welcome To Flavour Country, triple j Hottest 100 #86 single, Queensland, and national tours up his sleeve, Eddie’s name is synonymous with the DIY ethic, blending classic beats, a pop edge and all out fun in both his music and his live shows. Reclaiming the Come Together stage after so many years apart, Evil Eddie will be bringing along his years of experience and credibility to back him up and make sure that this reunion is something to remember. From the same school that brought you Horrorshow, Spit Syndicate, Jackie Onassis & Abe Saffron, come Crochet Crooks, opening up the Come Together stage. Their ever evolving brand of rap pushes the genre barriers, blending heavy 808s, catchy guitar riffs and evocative lyrics. The energetic live show they’ll be bringing to Come Together saw duo Jax and Sayso sell out iconic Sydney venue The Annandale Hotel after playing just six gigs, as well as scoring support slots for 360, Pez & Spit Syndicate amongst others. It’s time, Hip Hop Fans, to Come Together, for what is undoubtedly Sydney’s biggest hip hop festival. By being one of the lucky ticketholders, you can see all of your favourite hip hop artists under one roof as well as getting free rides in Luna Park from 11.30am – 3.30pm on the day. After selling out in 2012, you’d be crazy not to hurry and buy your ticket – you don’t want to miss this night!